Desert mirages are optical illusions that make thirsty travelers think they're seeing water. And now, a new study tell us, there are entire planets that might appear to be Earth-like when, in fact, their water and atmospheres burned away while they were still forming. 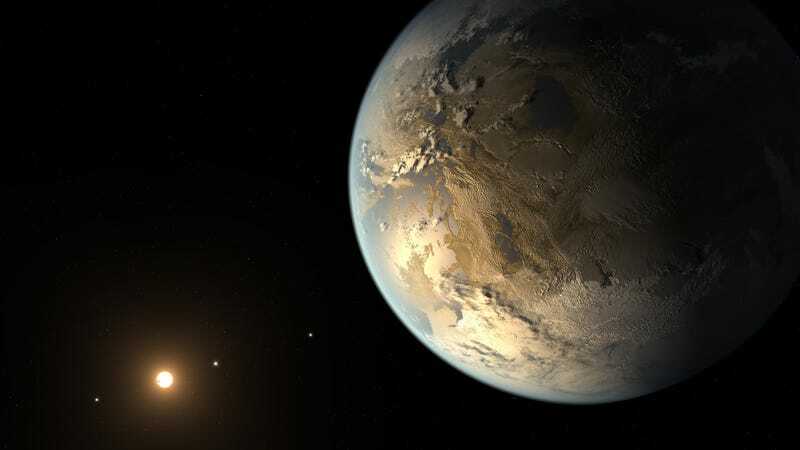 The research, which is being published in the journal Astrobiology, focuses on planets orbiting close to low-mass stars, which are prime targets in the search for extraterrestrial life. These stars, known as M dwarfs, are smaller and less luminous than our sun. As such, the habitable zones — the region of space that is warm enough to allow water to exist in a liquid state — tend to be much closer to the star than in our own solar system. For astronomers, that's both good news and bad news. The good news is that such exoplanets are among the easiest to detect. Astronomers find them by looking for the telltale wobble of a star in response to a planet's gravity or the slight reduction in light when the distant world passes in front of the star. "All stars form in the collapse of a giant cloud of interstellar gas, which releases energy in the form of light as it shrinks," Luger says. "But because of their lower masses, and therefore lower gravities, M dwarfs take longer to fully collapse — on the order of many hundreds of millions of years." "Planets around these stars can form within 10 million years, so they are around when the stars are still extremely bright. And that's not good for habitability, since these planets are going to initially be very hot, with surface temperatures in excess of a thousand degrees. When this happens, your oceans boil and your entire atmosphere becomes steam." Also boding ill for the atmospheres of these worlds is the fact that M dwarf stars emit a lot of X-ray and ultraviolet light, which heats the upper atmosphere to thousands of degrees and causes gas to expand so quickly it leaves the planet and is lost to space, Luger says. "So, many of the planets in the habitable zones of M dwarfs could have been dried up by this process early on, severely decreasing their chance of actually being habitable." A side effect of this process is that the UV radiation splits the water into its component hydrogen and oxygen atoms. The lighter hydrogen escapes the atmosphere more easily, leaving heavier oxygen atoms behind. Too much oxygen, researchers believe, inhibits the early formation of life. Next-generation telescopes that will be more capable of determining the composition of exoplanet atmosphere could contribute to the mistaken belief that these planets harbor life, since they're in a habitable zone and have oxygen-rich atmospheres. "They could look a lot like Earth from afar," says Luger, "but if you look more closely you'll find that they're really a mirage; there's just no water there."